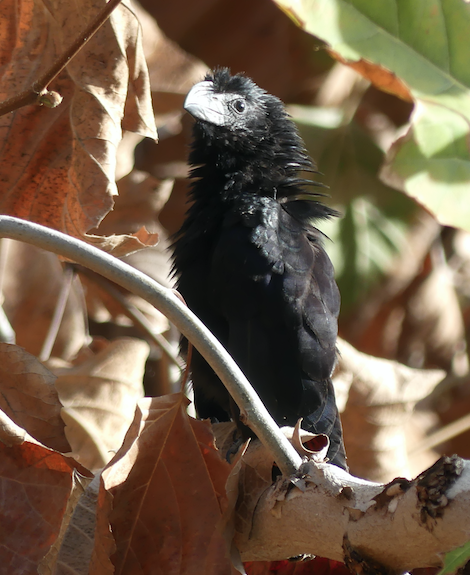 Last Sunday Claudia Dias, a woman apparently just visiting the area, found a bird in Encinitas that has never before been seen in the region. 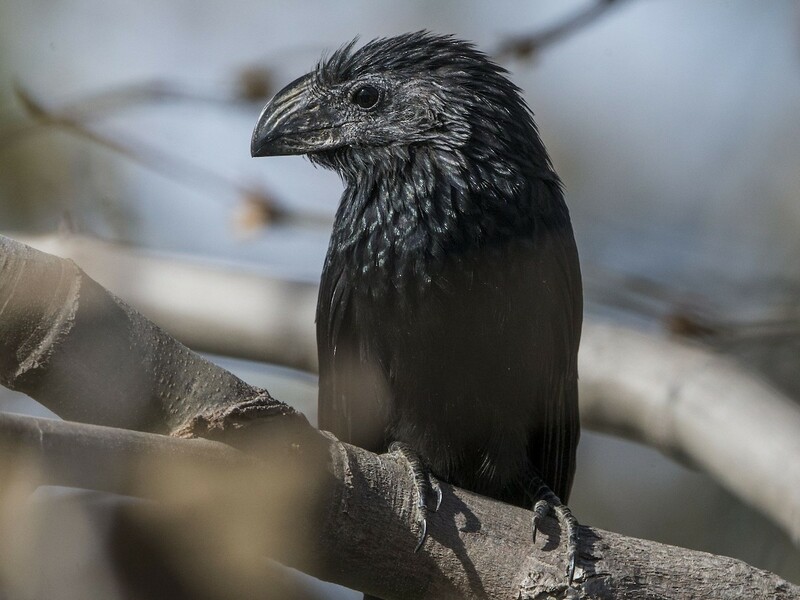 The rare bird is called a groove billed ani. Birders have been flocking to the park where it is currently residing the last few days to view the exotic visitor. Encinitas Community Park is located in Cardiff between Birmingham and Santa Fe, west of the freeway. The old Hall property. Ace local birder Gary Nunn took some great pictures that can be found on here on Ebird. The groove billed ani is native to the tropics and sometimes reaches southern Texas in its migration. No record of previous sightings in California. It is a member of the cuckoo family like the roadrunner and has two toes forward and two toes back. The bird has a very pretty whistle, a recording of which can be found here. Feeds on insects primarily, tends to raise its young communally. More on the bird here. Perhaps word will get out in the Ani community that this is a chill place to hang with plenty of orthopterans to eat and maybe we will see more of these pretty and unusual visitors. Interesting. My friend Marcus saw two large sea turtles in Batiquitos Lagoon this summer while kayaking. In forty years surfing the state of California I've never seen one sea turtle. Didn't even know we have them. It turns out we have a colony of several hundred in San Diego Bay. Are they moving north? I hope our climate goes more tropical. It'd be nice to grow my own banana, papaya, mango and coconut.